+ catch him performing at Ryman Auditorium on October 4! 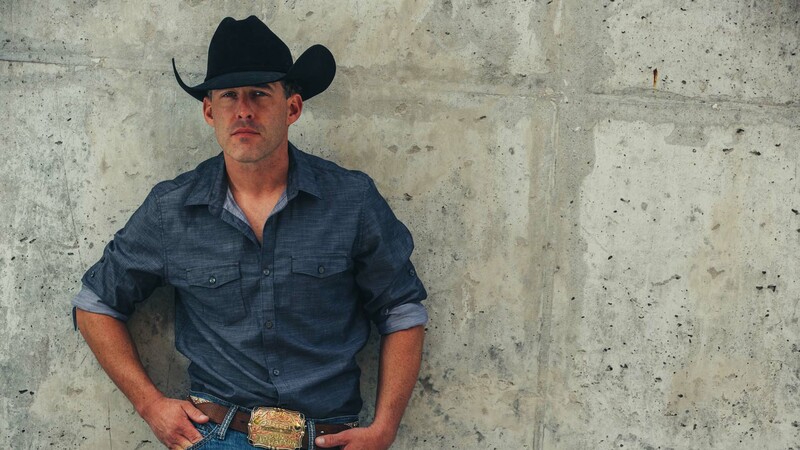 It’s hard not to love Aaron Watson. “The Underdog” musician was the first independent, male country artist to outsell major acts for the top spot since 1991—and it’s easy to see why. Hailing from West Texas, Watson crafts homespun country jams with a charming combination of both warmth and authenticity. After 18 years of hard work and perseverance, the star has developed one of the most devoted fan bases around, securing a No. 1 spot on Billboard’s Independent Albums chart across all genres for his latest release. Although Texas has been a central influence for Watson, Nashville has also played an important role in his career—whether it be the venues where he played early on in his career or the studios where he recorded record-breaking albums. 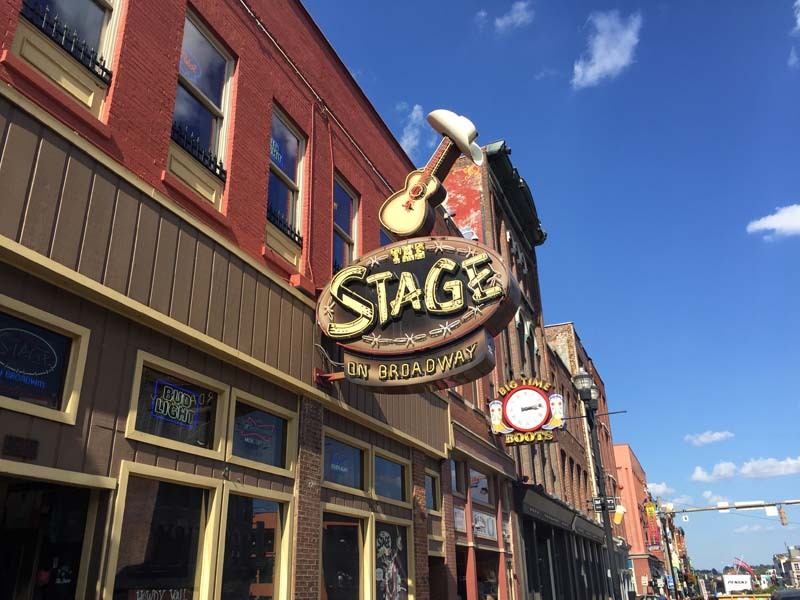 To celebrate his upcoming concert at Ryman Auditorium on October 4, the country star showed us some of his favorite spots in Music City, USA. 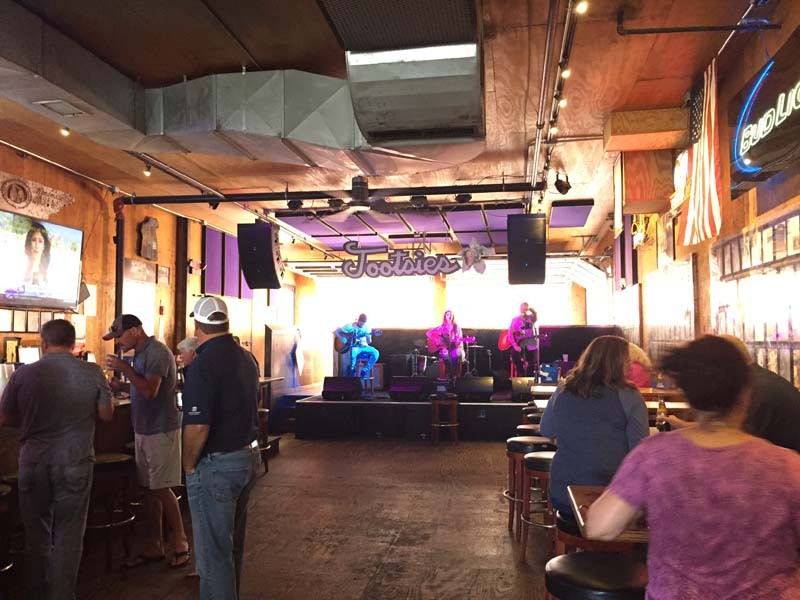 From the stage where Willie Nelson once played, to impressive downtown views, to the late-night spot where he took future wife for pancakes, Watson gave us the inside scoop on the best spots in the land where country music reigns supreme. Be sure to track him on Bandsintown so you don’t miss him come to your city! It was a huge honor to have the first independent #1 on Billboard’s country chart with The Underdog. 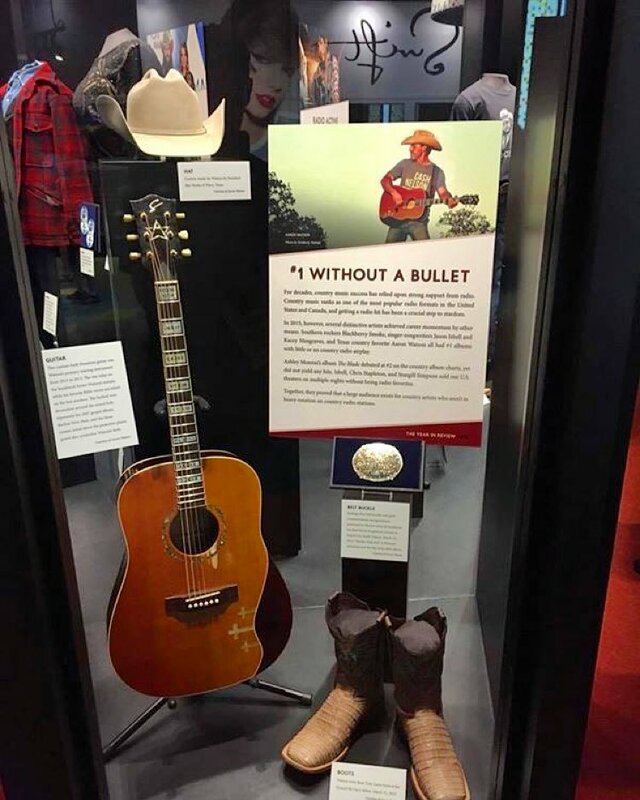 It was an even bigger honor to have a display at the Country Music Hall of Fame because of it. One of my custom guitars, the boots I had my Opry debut in, a custom buckle made for me and one of my cowboy hats. 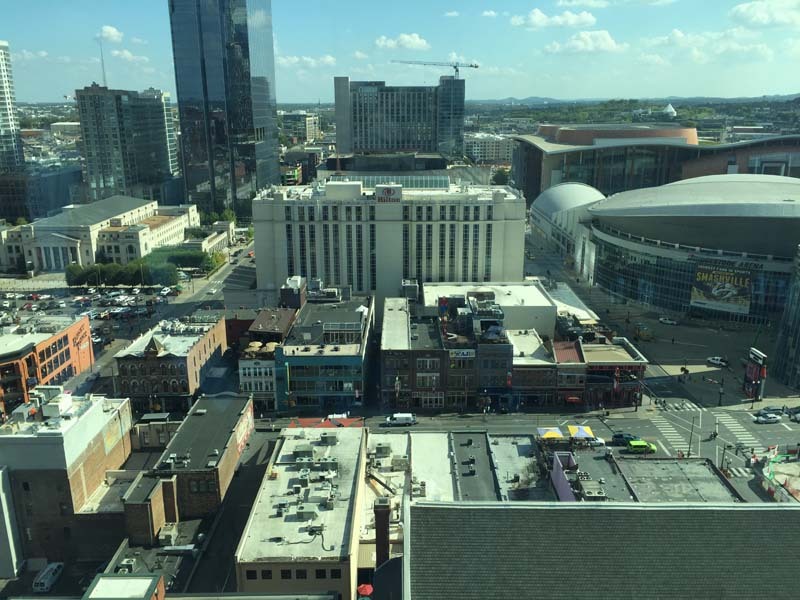 Incredible view of downtown Nashville and historic Broadway from the conference room of my booking agency. On the lower right you can see the roof of The Ryman. 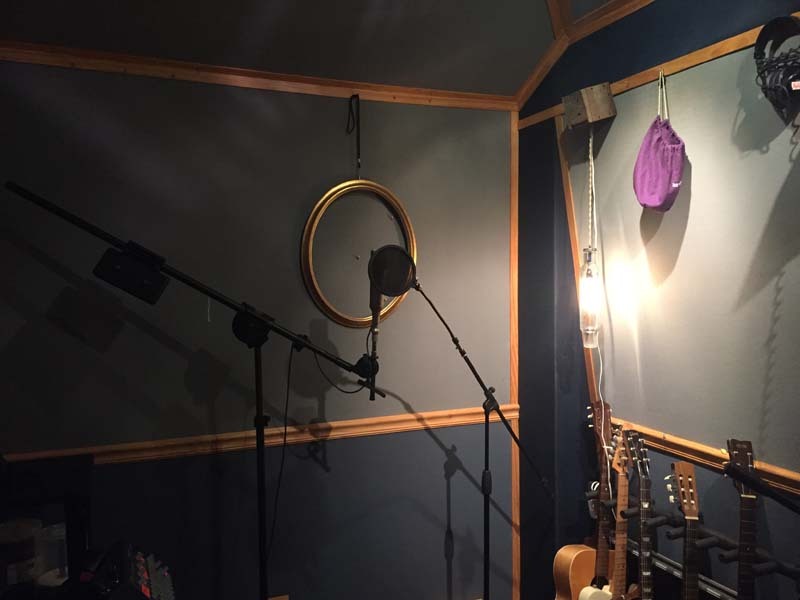 I sang all my vocals in this booth at The Galt Line for Vaquero fall of 2016. The first time I played Nashville was here over a decade ago. If you’ve been to one of my shows over the past couple of years, you know the story behind my Opry debut and Mrs. Aaron Watson wanting some pancakes afterwards. 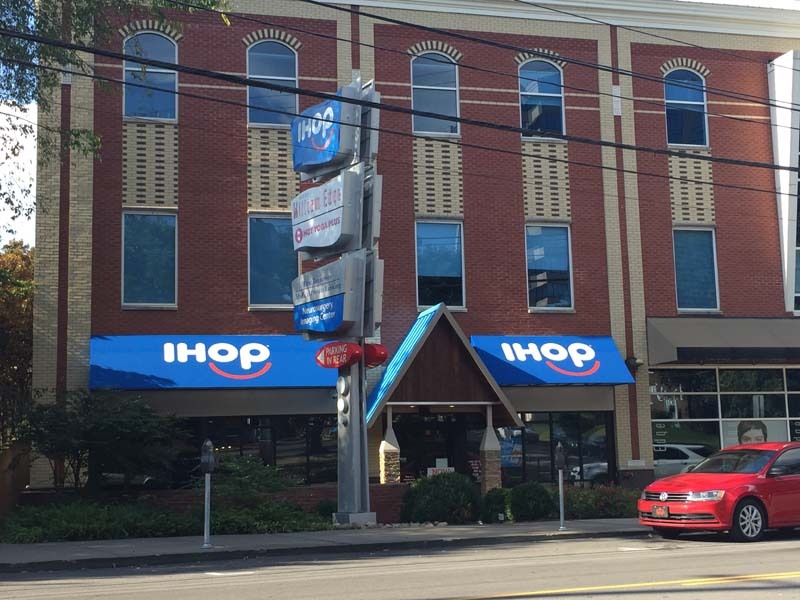 Here’s the famous IHOP from that story. Me and the boys pulled into Nashville from Texas right before our record came out this year and did a surprise last minute show just plugging into house gear and jamming. The only other performer to do a surprise show in 2017 at the legendary Tootsie’s was Luke Bryan. During the '50s and '60s many Opry performers would come across the alley from the Ryman and to get drinks before, during, and after their performances. 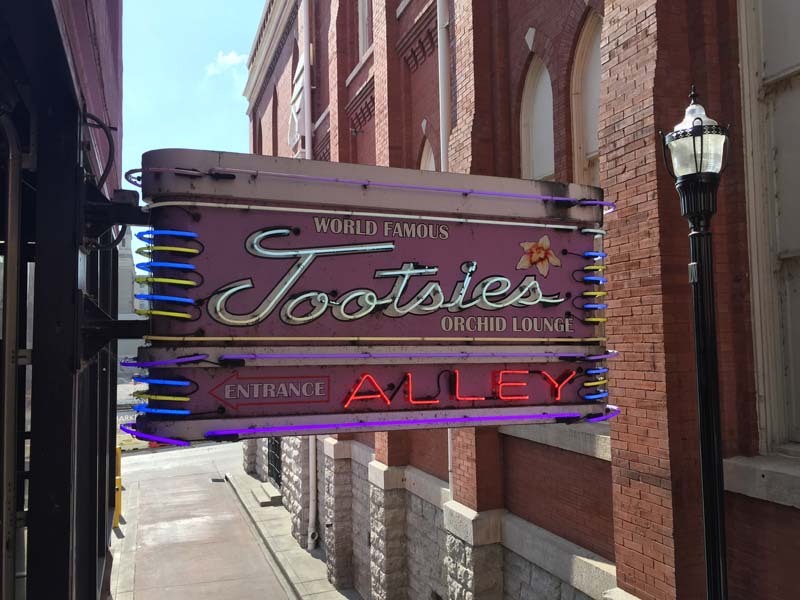 Tootsies is also partly responsible for Willie Nelson’s early career in Nashville. One night, Willie came in and told them that he was a musician that was brand new to town and convinced them to let him into the “industry only” section in the back where he ending up jamming w/ Ray Price's band. This subsequently landed Willie a spot in Ray’s touring band as well as his first job writing in Nashville for Ray’s publishing company. Tootsies also provided Kris Kristofferson a place to stay, as well as a broom to sweep the floors, while he earned his keep in Nashville. 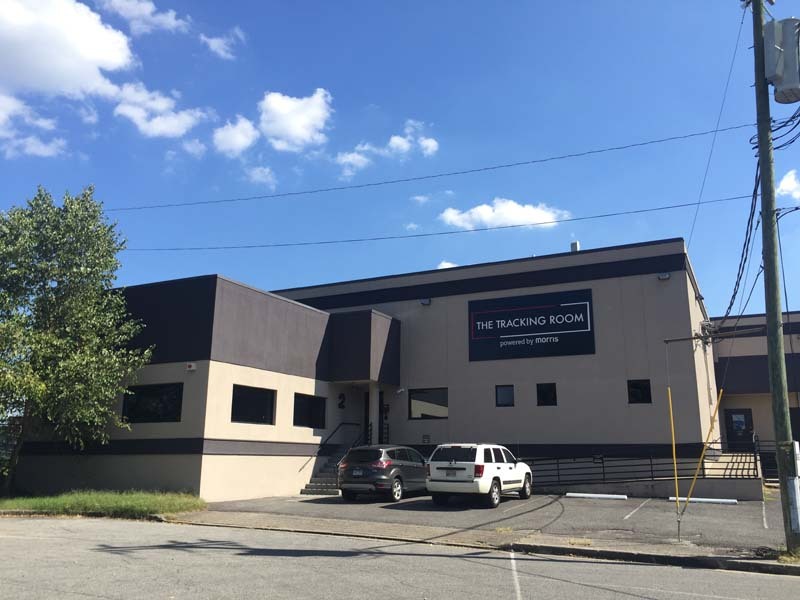 This is the studio that I recorded The Underdog in back in 2014 with Keith Stegall. He’s worked with guys like Alan Jackson and Zac Brown. Pretty much everyone has made an album here at some point. One of the first times I came to Nashville I wrote with Kris Bergsness. He wrote “Dallas Days and Fort Worth Nights” for Chris Ledoux and countless other songs that have been recorded. We wrote “The Honky Tonk Kid” in this place about 13 years ago. A lot of the greats recorded albums here. 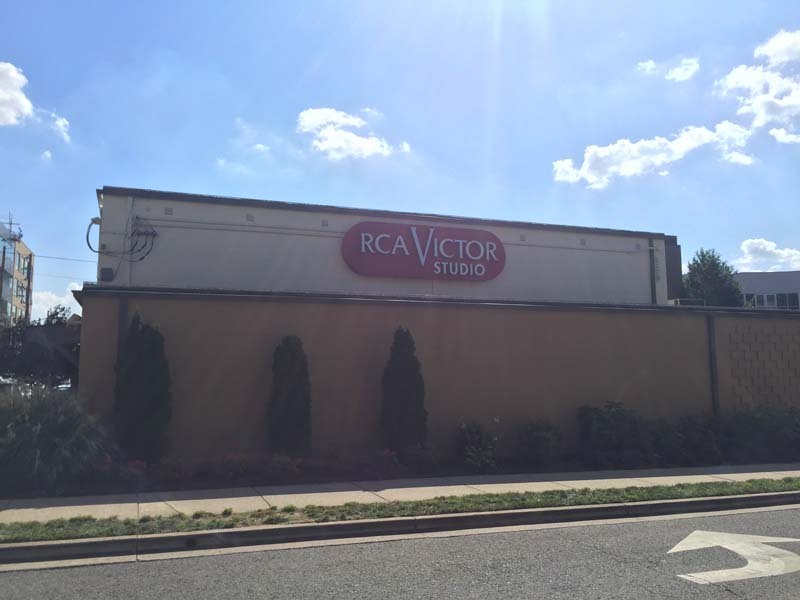 It was commissioned by Chet Atkins to facilitate the needs of RCA Victor Records. The plans were drawn up initially on a napkin and cost $37,000 to build. 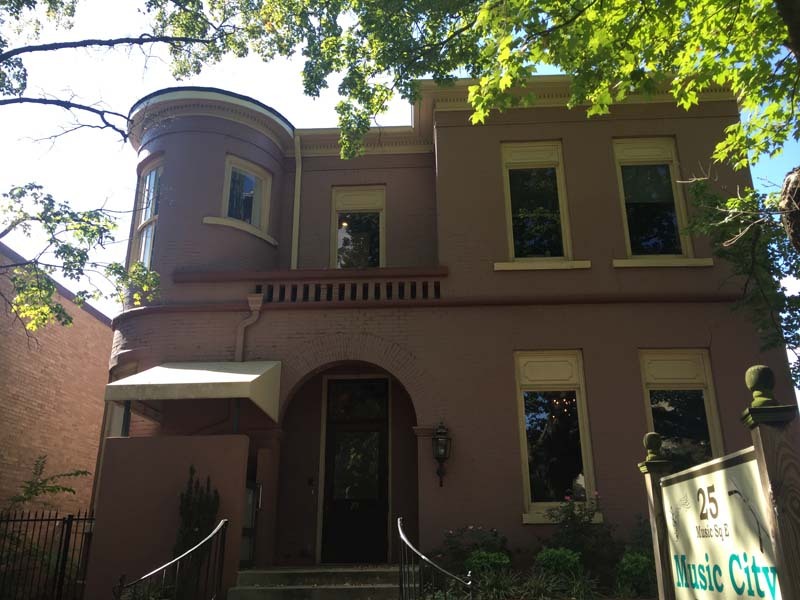 Among artists that recorded here are Elvis, Waylon, Willie, Dolly, and Patsy Cline.